We all face injustice at some time in our lives. 1. Philippians 2:5-11: Remember that Jesus is our example. Nothing we experience can compare to the injustice Jesus experienced. 2. Hebrews 2:14-18: Remember that Jesus fully understands our pain. He's been in our shoes and knows how we feel. He can fully sympathize and fully comfort us. 4. Colossians 3:15-16: Find extra time with Christ, His Word, and Christian fellowship so His Word overpowers the words of your injustice. 5. 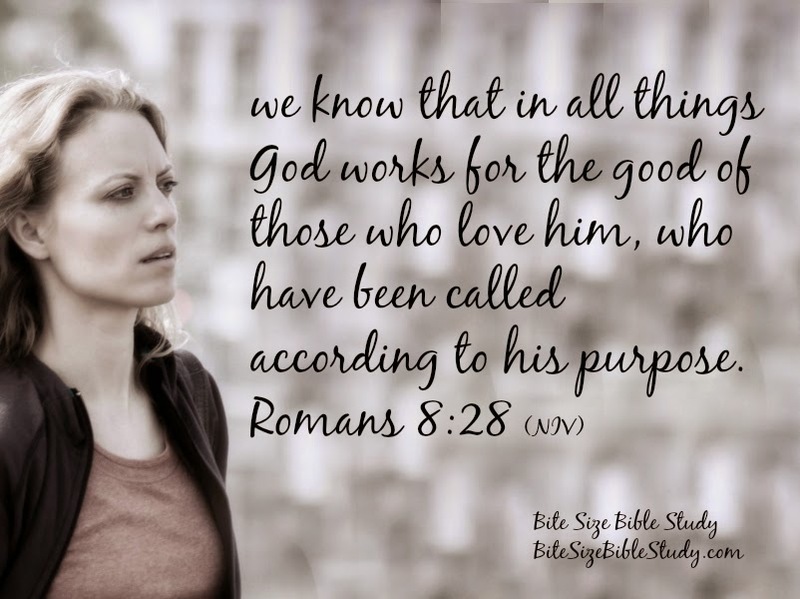 Romans 8:28: Ask God how He wants to work this injustice for your good and the good of others. What principles in these verses can help you when you face injustice? Hebrews 2:14-18: Since the children have flesh and blood, he too shared in their humanity so that by his death he might break the power of him who holds the power of death—that is, the devil— 15 and free those who all their lives were held in slavery by their fear of death. 16 For surely it is not angels he helps, but Abraham’s descendants. 17 For this reason he had to be made like them, fully human in every way, in order that he might become a merciful and faithful high priest in service to God, and that he might make atonement for the sins of the people. 18 Because he himself suffered when he was tempted, he is able to help those who are being tempted. Colossians 3:15-16: Let the peace of Christ rule in your hearts, since as members of one body you were called to peace. And be thankful. 16 Let the message of Christ dwell among you richly as you teach and admonish one another with all wisdom through psalms, hymns, and songs from the Spirit, singing to God with gratitude in your hearts. It's so encouraging to read :"18 Because he himself suffered when he was tempted, he is able to help those who are being tempted." God didn't need to become one of us in order to understand us -- after all, He's God and able to understand us completely. But it's a comfort to know He not only understands, but He has experienced our temptations and trails as one of us. Dwelling on God's Word allows God's Word to dwell "in" us and overcome negative, hurtful words from men and keeps us from dwelling on our injustice. Reading God's Word, having regular Christian fellowship and taking our concerns to God in prayer help us stay grounded during times of injustice. Yes, injustice should be faced strongly and the points described above should be implemented in proper manner.